Home/Academics/Degrees and Programs/Educational Leadership Ed.D. With a Doctor of Education in Educational Leadership from University of Houston-Clear Lake's College of Education, you will have the skills to become an educational leader who can effect broader change. 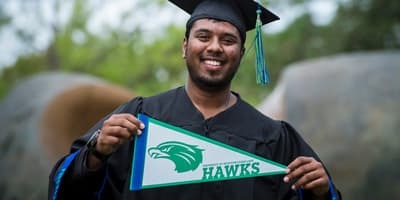 UHCL’s program provides extensive development in sound research and administrative practices so educational leaders thrive in current and future educational environments. You will develop greater expertise while gaining an extensive understanding of educational leadership theory and practice through case studies, data collection, and field experience. 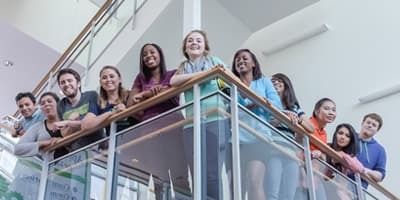 You’ll achieve your goal of obtaining a key administrative position at any level from elementary through high school or at the district office level, and you’ll acquire relevant skills to influence key decisions in administration and academics while applying cutting-edge research and management tools in responding to critical issues. UHCL’s leading doctoral program is taught primarily by faculty with doctorates, many from major research universities. Our individualized student approach provides the support for you to personally excel. These factors, combined with our fiscally sound in-state tuition, demonstrate the quality and value our program delivers. Both university and program applications are required. A combined score of 297 on the Verbal and Quantitative portions of the Graduate Record Examination (GRE) and a minimum score of 4.0 on the Analytical Writing portion of the GRE. The GRE must have been taken within the last five years. 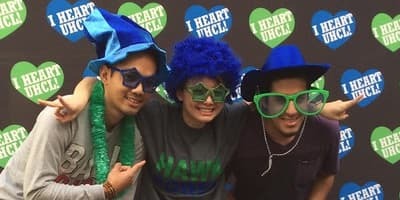 In the application process for the Doctoral Program in Educational Leadership, applicants have the option of providing a writing sample, where the writing activity is proctored at UHCL, in lieu of the GRE. Letter of Intent - The Letter of Intent, not to exceed 1000 words, should explain why you wish to pursue doctoral-level work in Educational Leadership. Discuss the following topics: your career goals; your research interests as they relate to education; how the program will help you meet your career goals and pursue your research interests. You should also discuss your scholarly and professional accomplishments and your prior work experiences that relate to your interest in, and aptitude for, the graduate program. Focus on your future and how the degree will help you accomplish your long-term goals. Please do not include how you got into the field of education. Paragraph I – Why do you wish to pursue a doctoral-level degree in Education Leadership? Paragraph 2 – What are your career goals and how will this degree help you accomplish your long-term goals? Paragraph 3 – What are your research interests as they relate to education? Paragraph 4 – What are your scholarly and professional accomplishments as they relate to your educational leadership? Paragraph 5 – How does your prior work experience relate to your interest in the doctoral program focusing on educational leadership? Three reference forms- At least one reference must be from a supervisor or other administrator familiar with the applicant's work. If possible, at least one of the Reference Forms should be from a professor involved in the applicant's master's program.